Time moving faster aside, I've got 5 colorways for you this week, a bunch of heel/toe skeins, and some more sock sets! You can see all the recently updated things here. Heel skeins are available here. And don't forget the Force Sale! You can get 15% off the remaining Force in stock using the code "Feeltheforce" no quotes, at checkout. 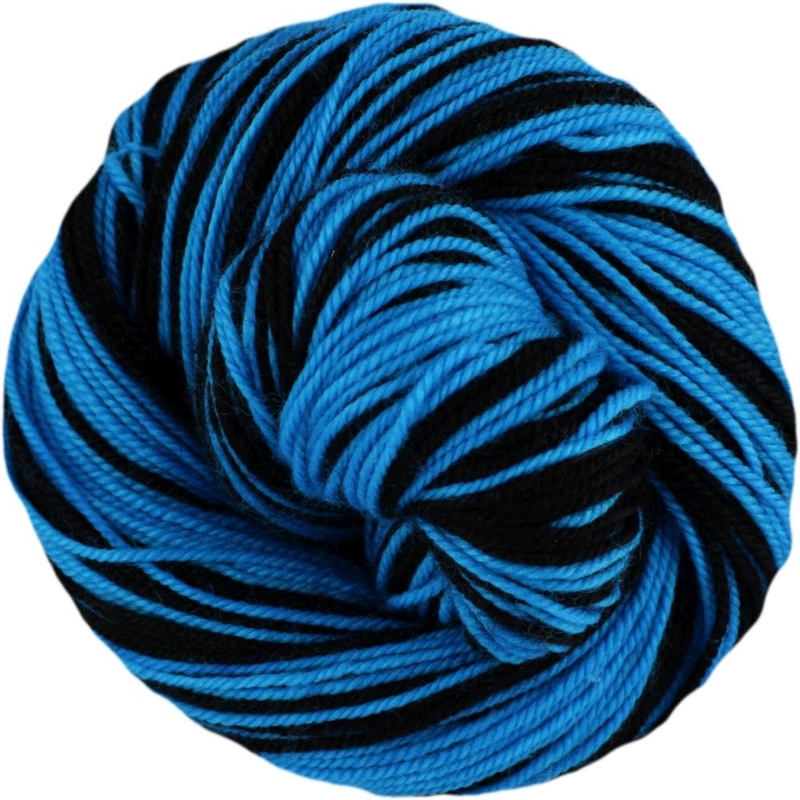 This yarn will be discontinued as soon as it's all sold out, so get yours now! 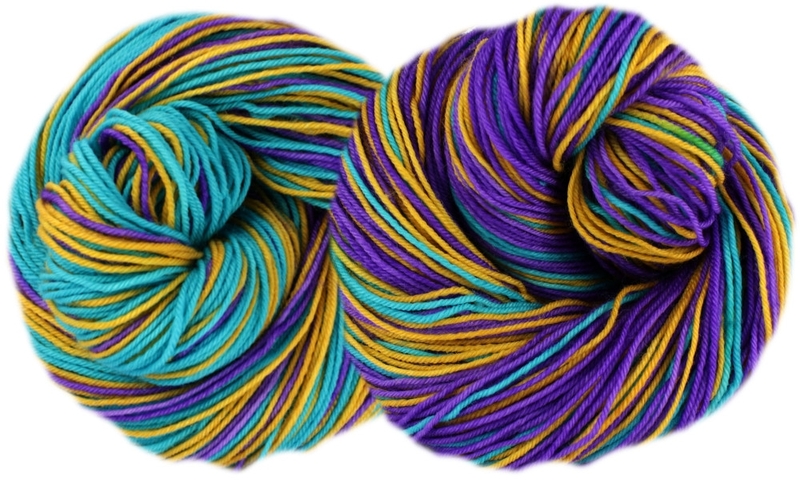 The first new colorway for y'all this week is Caudal Gill. It's a complex stripe with 7 rows deep orange, 3 rows apple green, 7 rows violet, 3 rows apple green, 7 rows sun yellow, 3 rows apple green, 7 rows extreme blue, 3 rows apple green. 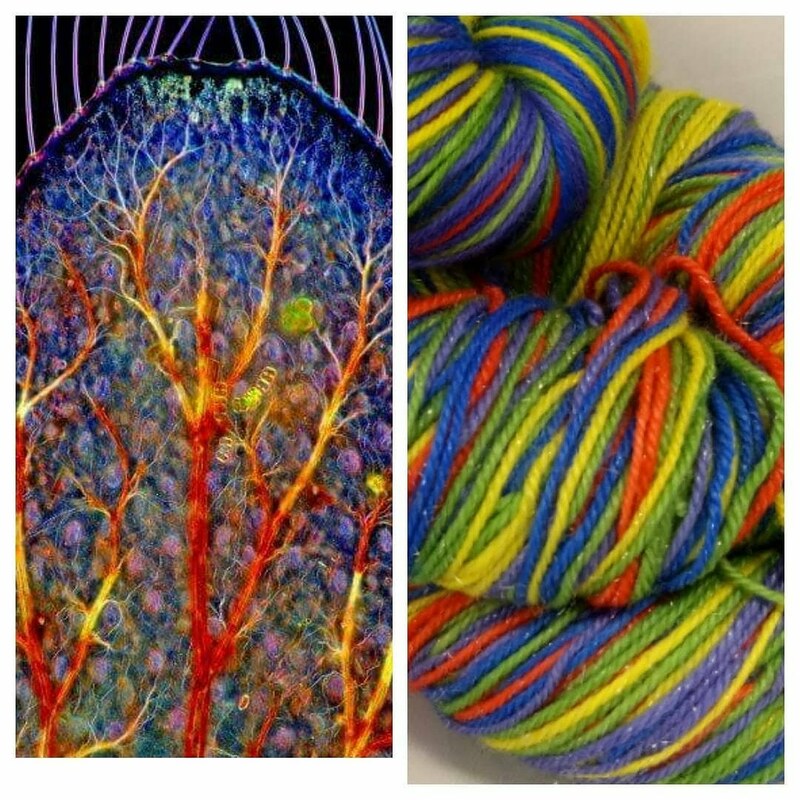 The inspiration for this colorway is a color microscope picture of the caudal gill of a larval dragonfly. 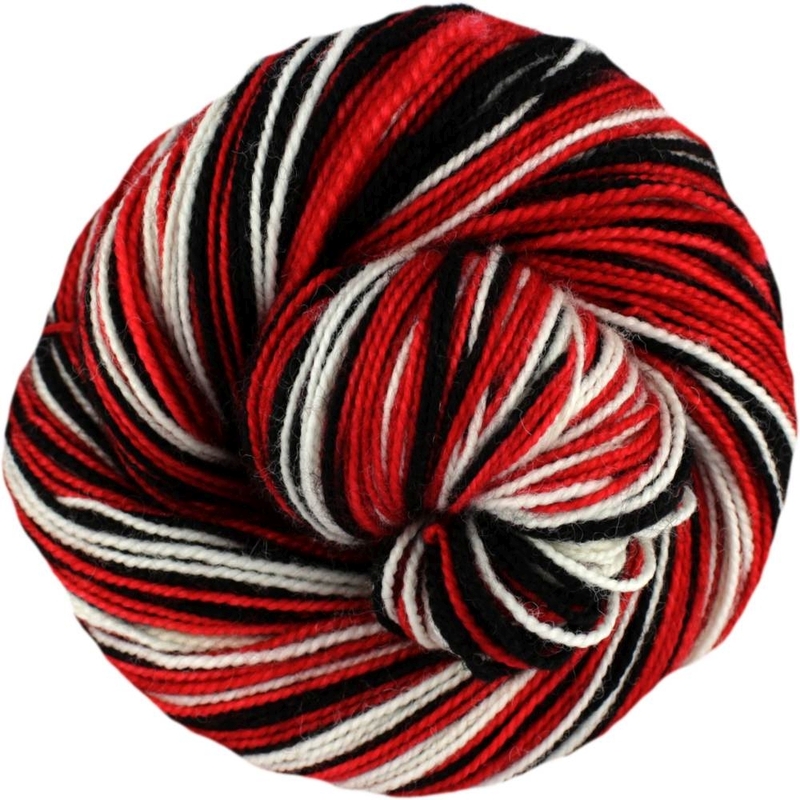 The next new colorway for this update is Tetrodotoxin. This one has one hank that stripes 10 rows electric violet, 3 rows gold, 3 rows aqua, 3 rows gold, and the other hank stripes 10 rows aqua, 3 rows gold, 3 rows electric violet, 3 rows gold. Tetrodotoxin (TTX) is a potent neurotoxin. Its name derives from Tetraodontiformes, an order that includes pufferfish, porcupinefish, ocean sunfish, and triggerfish; several of these species carry the toxin. Although tetrodotoxin was discovered in these fish and found in several other aquatic animals (e.g., in blue-ringed octopuses, rough-skinned newts, and moon snails), it is actually produced by certain infecting or symbiotic bacteria like Pseudoalteromonas, Pseudomonas, and Vibrioas well as other species found in animals. For this colorway, the sparke skeins on the aqua half didn't come out as sparkly as I hoped, so I've listed them separately. They're listed at 20% off retail, no code needed. 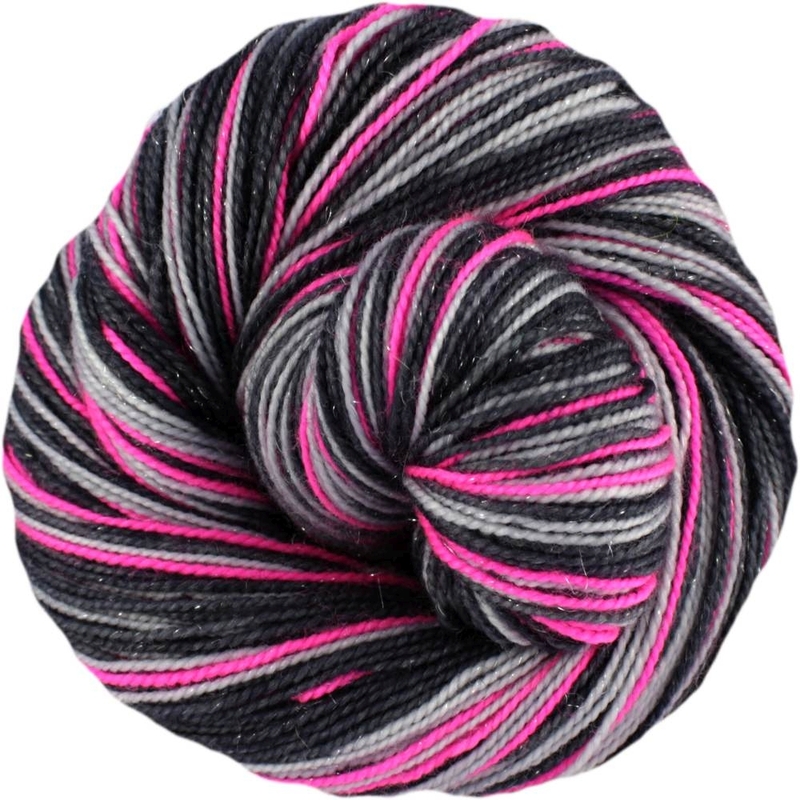 Next up is Positron, a complex stripe with 10 rows dark grey, 3 rows light grey, 3 rows fuchsia and 3 rows light grey. Cherenkov Radiation is a 10 row stripe with turquoise and black. Another complex stripey, Probability has 7 rows red, 3 rows black, 7 rows white, and 3 rows black. Projects for this colorway can be seen here if you have a Ravelry account.